These lightweight yet tough and durable gloves protect palms and fingertips without sacrificing comfort and sensitivity. 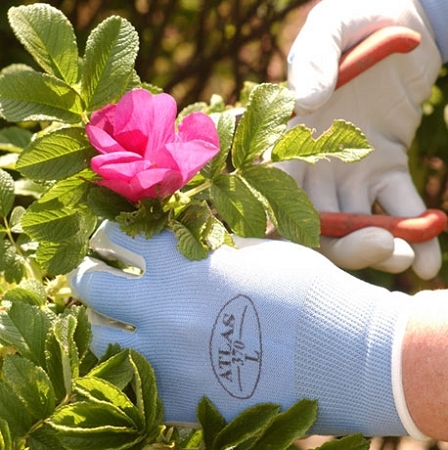 Weeding, pruning, thinning — you can even pick up seeds with the Atlas 370! The thin coating of Nitrile — a substance three times more puncture-resistant than rubber — provides great flexibility and an excellent grip for wet, slippery items. The nylon knit backing and elasticized wrist help them fit like a second skin. Atlas 370s are machine-washable.